The morning light touches on the glory of an early morning riser. Perfect for displaying in your condo, den or anywhere in your home! 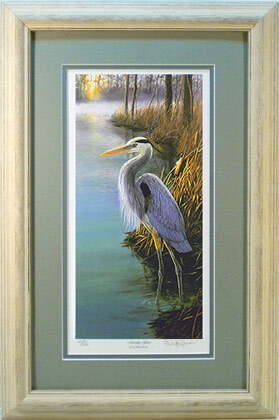 This print matches perfectly with "Evening Ease ", our Tricolored Heron print in same size.